Published to accompany an exhibition to celebrate the centenary of the ‘Entente Cordiale’ between France and Britain, which has already shown in France and is showing this summer at the National Galleries of Scotland, this most attractively produced catalogue describes in words, by James Lawson, and images, by Robin Gillanders, the famous Garden at Ermonville that was inspired by the writings of Jean-Jacques Rousseau. Similarly, many of Rousseau’s writings have provided the inspiration of much of the work of the Scottish artist Ian Hamilton Finlay, particularly his own garden, Little Sparta. And so this little catalogue is a both a tribute to and a celebration of Rousseau and Finlay. Although le pauvre Jean-Jacques never set foot in this country, he did have interesting, if not complicated, at least not entirely straightforward, connections with Scotland. Rousseau was, for a while, a friend and admirer of the great European philosopher David Hume, whom he had first met in France and who invited Rousseau to return with him to London when Rousseau was forced to flee into exile. It was in London that they both sat to the Scottish painter Allan Ramsay for their portraits. Rousseau’s presents him as an almost inscrutable figure, got up in Armenian costume, and seems to invite the viewer to come closer and dare to study his face and character. (This portrait, remarkably small in dimension but impelling as a powerful study of the man, is now in the collection of the National Galleries of Scotland.) Shortly after arriving in England, Rousseau fell out with Hume, having shown signs of a persecution complex, and become convinced that Hume was out to get him! At one time too, Rousseau proposed to write a biography of Andrew Fletcher of Saltoun, whom he had met in Switzerland. Apparently, Fletcher furnished Rousseau with some of his private papers to assist him with this biography. Sadly, Rousseau abandoned the project and Fletcher’s irreplaceable papers disappeared. êveries’ has a charm and a kind of urgency, an openness and a beauty, entirely of its own. 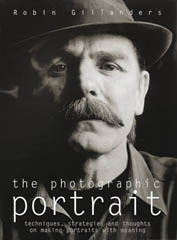 Each of Gillanders’ photographs is complemented perfectly by the quotation it accompanies. Following the photographs of the Garden at Ermonville and the Rousseau quotations are some half a dozen photographs of Finlay’s Little Sparta. These in their turn are accompanied by quotations from Finlay’s ‘Detached Sentences on Gardening’. Odious though it might be to make comparisons, the Finlay quotations, alongside Rousseau’s, sound feeble. Despite consisting of declarative sentences that are created to sound authoritative, as if to represent some kind of eternal truth, these ‘Detached Sentences’ lack the simple directness of Rousseau and his intensity of feeling. My only criticism is that the translator of James Lawson’s well-researched and insightful essay ‘The Philosopher’s Garden’ seems not to be credited and their identity must remain obscure. This is an irony that would not have been lost on Rousseau. Having in the early 1750s been driven by want to become a copyist of music, the great philosopher was forced in his last years to return to such unaccredited and ill-rewarded work. Robin Gillanders was born in Edinburgh in 1952, where he teaches photography at Napier University. He has enjoyed a successful career as a freelance photographer in fashion and advertising and is best known as a portrait photographer. The Philosopher’s Garden: Le Jardin du Philosophe, Robin Gillanders and James Lawson, with a preface by Jean-Claude Curtil and an introduction by Peter France. 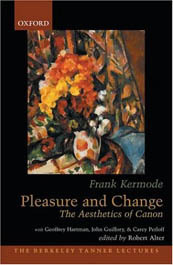 National Galleries of Scotland (ISBN 1903278643, £20). Also by Robin Gillanders are The Photographic Portrait: Techniques, Strategies and Thoughts on Creating Portraits with Meaning published by David & Charles (ISBN 0715316516 £22.50 HBK), Labanotation: The Archie Gemmill Goal available from Polygon (edited by Alec Finlay, danced by Andy Howitt; ISBN 0748663258 £7.99 PBK), Little Sparta published by the National Galleries of Scotland (with Alec Hamilton Finlay, ISBN 090359885X £35.00 HBK). 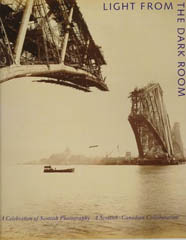 Also see Light from the Dark Room: A Celebration of Scottish Photography featuring the work of Robin Gillanders, along with Sara Stevenson, Alison Morrison-Low, Allen Simpson, Julie Lawson, Ray Mackenzie and James Lawson, which is also available from the National Galleries of Scotland (ISBN 0903598582, $29.95, no UK price).